Immediate feedback loops (page 73). Course instructors and designers have a significant amount of data collected from a system that they can use to make conclusions on the effectiveness of the course. For example, professors get immediate cues regarding how students understand key concepts from a fifteen minute lecture segment (where students are prompted with questions). Immediate feedback and the collection of data related to students’ interactions might revolutionize the higher education learning experience. Students get feedback from the system. They have to answer questions correctly before moving on in lectures. Course designers from the system. They can understand what is working and not working with an online course, so improvements can be made. Supporting content. As a student watches a course, they can mine information – articles, blogs, and definitions – related to what is being talked about in the lecture. Global community. Most online courses are available to anyone with an internet connection and computer, so foreign students are welcome. Diversity enriches the learning experience for everyone. Team of experts. Most online courses have a team of experts – a professor, guest speakers, and professionals – who work together to give the best instruction. Continual learning opportunity. Professionals take online courses to continue building skills and knowledge, and are not necessarily earning a degree – “an education equivalent to booster shots” (page 44). 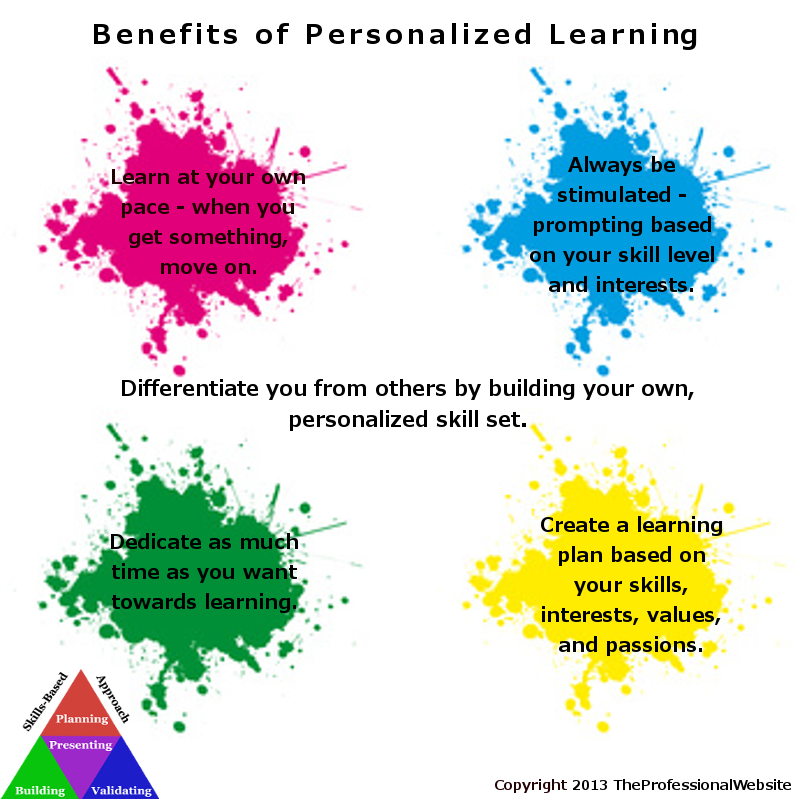 Personalized learning experience (only when there is a limited class size). Based on feedback from the system, a professor tailors specific lesson plans to individual students. Personalized learning plans are making headway in early education. One thing I like about online courses with a Skills-Based Approach is students take courses that relate to particular skills and knowledge related to their career. Students also have flexibility to take courses on their own schedule. And as mentioned above, professionals can take online courses throughout their career to continue building expertise with skills. 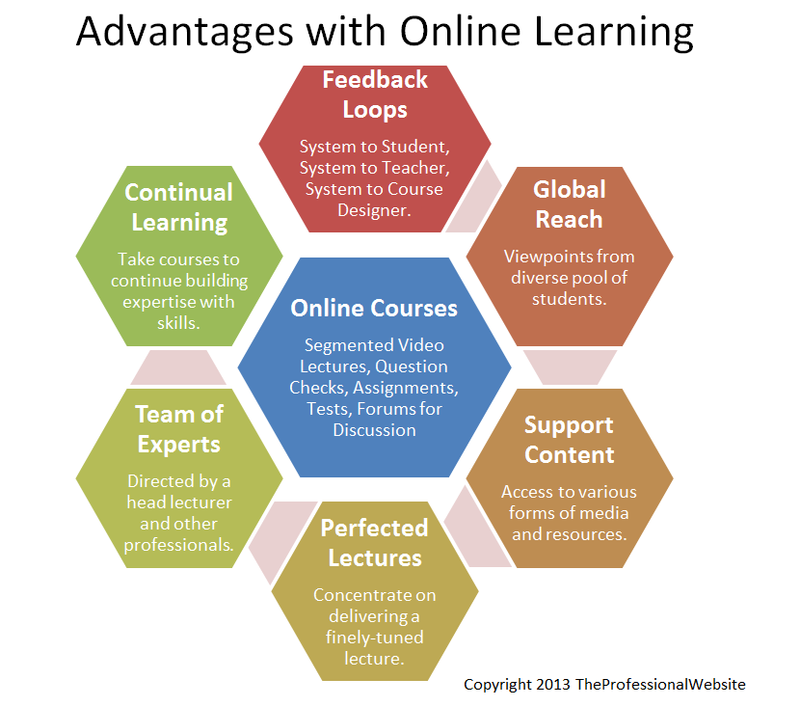 Online learning promotes thinking skills rather than degrees. William G. Bowen (2013). 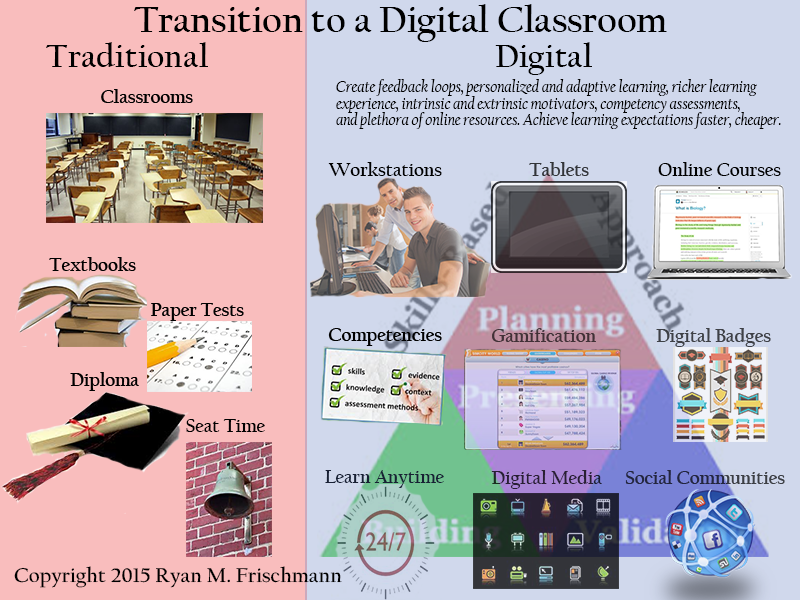 Higher Education in the Digital Age. Princeton: Princeton University Press.